This reliable maincrop has outstanding resistance to mildew, ideally suited for sowing late in the season it can be sown in succession from March to June. This superb variety is reliable in most soils including clay. Growing to a height of around 80cm (32in) it produces top quality crops on semi-leafless stems that make for easier picking. Used fresh or frozen, Pea Ambassador tastes delicious. 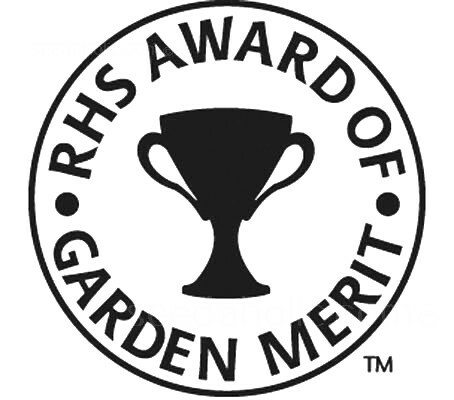 Pea 'Ambassador' was awarded the Royal Horticultural Society’s Award of Garden Merit (AGM) in 1993, this was reconfirmed in 2005 with another AGM. Certified Organic Seed.This seed has been organically produced. It has been harvested from plants that have themselves been raised organically, without the use of artificial pesticides, herbicides and fertilisers. Peas require a sunny, position with well-drained but rich soil with a neutral ph, so if yours is at all acidic, the ground should be limed a few weeks before sowing. Ideally, the ground would be dug and manured the autumn before sowing, but if you have good garden soil, a thin dressing of good garden compost or well-rotted manure just before sowing is adequate. This will help to improve the soil’s moisture-retaining ability during hot, dry summers. In well drained soil, peas can be sown outdoors in November, for an early crop. In spring, wait until the soil is warm to the touch, which will be some time between the middle of March and the middle of May, depending on your soil and where you live. Putting a layer of fleece over the soil in early March will help warm up the soil by as much as a couple of weeks. Make successional sowings every two weeks. To grow an early crop, try sowing seeds in a length of old guttering. Drill drainage holes at regular intervals along the base. Fill to the top with seed compost and space the seeds about 7.5cm (3in) apart. Place the guttering in the greenhouse or cold frame. Keep the compost moist and transplant into the garden once the seedlings have established. Dig out a shallow trench and gently slide the pea seedlings into it. Water and cover with cloches to encourage growth. Autumn and early spring sowings will benefit from cloche protection. Peas sown in cold, wet ground will rot so make sure the soil is warm. In early spring, cover the soil with polythene before sowing and then protect seedlings with fleece. Sow seed in a single row 5 to 10cm (2 to 4in) apart, ensuring there is enough space for plant supports. Make a single V-shaped drill, 5cm (2in) deep, water the base of the drill and sow the peas. A second row can be added, as long as it’s 30cm (12in) away from the first drill. It is important to have room to get between the rows to pick - 3ft is probably the minimum and 6ft is ideal. If using the latter spacing, a crop of radish or lettuce can be grown in the gap, to be harvested before you start picking the peas. Water your peas well after sowing, and then leave them - except in very dry weather - until they flower, when they should have a really good soak to encourage good pod formation. Keep them weeded until well established. All but the most dwarf varieties need support. Once peas have reached, 5 to 8cm (2 to 3in) in height and their tendrils begin to reach out for support, place supports next to plants. Use bamboo canes, pea sticks, trellis, netting, chicken wire or use any garden pruning that produces twiggy branches. Regular picking is essential for a truly fresh pea. The more you harvest, the more they will produce. Harvest from the bottom of the plant working upwards. Do not pull up the plant as the roots are full of nitrogen-fixing bacteria. Best eaten fresh, eat raw or boil straight after picking. Serve with just a knob of butter and a sprig of mint from the garden. The tips of the vines and the top set of leaves of the pea plant are an Oriental delicacy. They can be served raw in salads, quickly cooked in stir-fries, or blanched and used in soups. Peas can be stored in the crisper section of the refrigerator for 2 to 3 days. 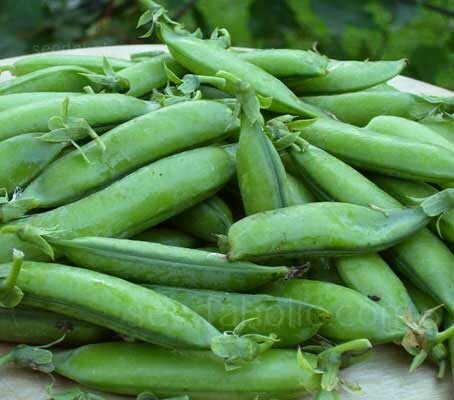 Freeze any excess pea harvest as quickly as possible because the sugar in peas turns to starch very quickly after picking, which destroys that precious sweetness. Peas are a useful part of the gardener's vegetable rotation. Cut off the stems at ground level, and allow the roots to rot down and release nitrogen back into the soil. The nitrogen can be taken up by the crop that follows them - usually a brassica such as cabbage. Peas come in two varieties: shelling and mangetout. Shelling peas mature at different times. Earlies take around 12 weeks, second earlies take 14 weeks and maincrops take 16 weeks. While the slowest can take a month longer - they will then go on producing pods for about a month. Shelling peas come in round and wrinkle-seeded varieties. Choose round seeds for hardiness and early sowings, and wrinkled for sweetness and summer sowings. Mangetout is French for "eat it all" and comes from the fact that the whole pea - including the pod - is eaten. They are a frequent addition to stir-fry dishes. Other names include Snow Peas, Edible-podded peas, and Chinese sugar peas. They are without the hard wall to the pod that conventional 'wrinkled' peas have. Mangetout and sugarsnap peas are eaten pods and all. The former never really develop proper peas, while the latter do, but slowly, which means that if you do not pick them regularly you can harvest the maturing peas and eat them as a normal variety. Both are without the hard wall to the pod that conventional 'wrinkled' peas have. There is a lot to be said for growing these peas if you have limited space and perhaps limited patience for shelling peas.